*In an interview with Sister 2 Sister magazine, Toni Braxton says she has to rely on lucrative tour dates in Europe to boost her bank balance, because her family’s reality TV show is not profitable enough for her to live on. The singer was forced to file for bankruptcy last year amid reports she owed between $10 million and $50 million in unpaid debts after cancelling a series of Las Vegas shows due to heart problems. She recently assured fans her financial woes were not as bad as had been reported and claimed she just had an outstanding tax debt with U.S. authorities amounting to $500,000. 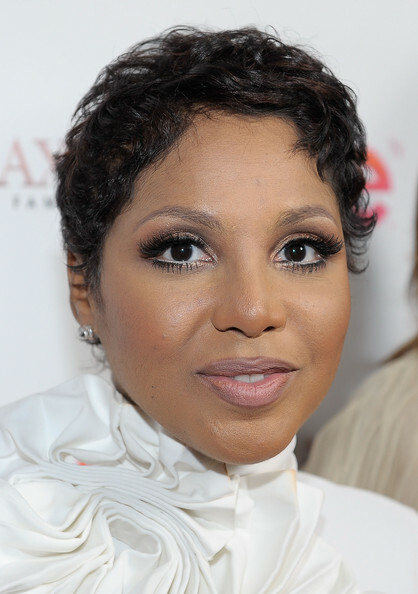 But the star, who currently appears in the We TV reality show “Braxton Family Values” alongside her four sisters and mother, insists she has only managed to stay on top of her money issues by taking on concert deals outside of America, because she and her two young sons can live off the big pay checks for months on end. Next ArticleWhat Was Really Going On Between Stevie Nicks and Prince? baby girl pay your bill ….you are a burden on Us!!!! !……check on Wesley, ’cause I think you need to be there with him. If the reality show is not that lucrative then why?? she is opening up herself and her family to that scrutiny?? I do not think airing your family drama is worth it. I too love Toni and have all of her CD”S she can SING!!! a lot better than the cupcakes that are on the scene now. Most bankruptcy laws will allow the filer to keep their homes if they can show that it is not income property. I was wondering how she could remain in her beautiful Atlanta home if she owed that much money to the IRS. I am glad that she has clarified why that is so….even though it really is no one’s business but Toni’s. She seems humble and not living beyond her means. It is a known fact that medical bills are more often than not the reason for bankruptcy filings. I hope that she continues to find peace and success in her career and endeavors. Seriously, Toni. It’s past time for you to downsize you lifestyle. There’s nothing wrong with living comfortably but sensibly. Maybe a personal finance class at the local community college?